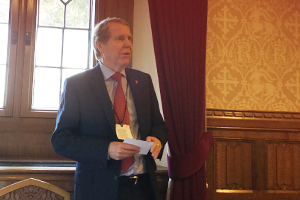 The Cheshire Science Corridor Enterprise Zone was the focus of a high profile event in the House of Lords this week as Cheshire Business Leaders, Cheshire and Warrington Local Enterprise Partnership and EZ partners joined together with government officials and MPs to promote the strengths of Cheshire’s science sector. The annual event, hosted every year by Cheshire Business Leaders to showcase the best of Cheshire business, welcomed George Osborne MP as guest speaker and was attended by government representatives, and business leaders in Cheshire. Other organisations represented included the Australian High Commission and Embassy of the People’s Republic of China. Robert Mee, Chair of the Cheshire Science Corridor Enterprise Zone, gave an overview of the Science Corridor, home to the most significant science based assets in the North of England, and the success of the EZ six months into its operation, which has seen new tenants move into all of the major EZ sites, as well as speculative development begin in Ellesmere Port for the first time in years, as a direct result of EZ status. Longer term, the EZ is expected to attract around 500 new businesses and 20,000 new jobs to Cheshire and Warrington. The Cheshire Science Corridor stretches across the Cheshire and Warrington sub-region and incorporates some of Britain’s most innovative and significant science based assets including Urenco at Capenhurst; Daresbury Science Park; AstraZeneca at Hurdsfield; and Jodrell Bank. 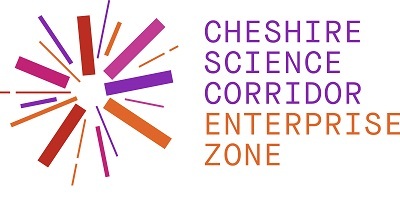 A portfolio of sites within the Cheshire Science Corridor have been granted Enterprise Zone status at Birchwood, Thornton Science Park, Alderley Park and across Ellesmere Port including at Protos and Hooton Park. The Enterprise Zone was launched in May 2016, and is expected to lever in approximately £100m of additional investment which will be reinvested in essential infrastructure to support business growth. Financial incentives offered to businesses locating on the Enterprise Zone sites include providing significant help with business rates for science based and high growth companies and will allow new investors to benefit from enhanced capital allowances at sites in Ellesmere Port and at Thornton Science Park.